At Johan Vineyards, we are committed to meticulous vineyard management practices, highlighted by our Biodynamic farming methods and accents of permaculture design. Biodynamic farming focuses on the entire farm as one living organism. We farm to mimic the natural microbiological ecology of the soil where vines evolved. This produces vines more resistant to disease and creates a healthy natural immune system within the vine. This focus also increases the assimilation of nutrients naturally present in the soil, and creates a more efficient production of secondary metabolites. We see our farm as a holistic system that will showcase its own identity through the fruit it develops. Biodynamic farming combines the knowledge of premium organic viticultural practices with an understanding on how to treat the vineyard and its surrounding areas in order to achieve desired long‐term farming results. Our vineyard is broken into multiple blocks that feature 13 different varieties, with 10 clones of Pinot Noir & 7 of Chardonnay, multiple rootstocks, across varying aspects and soil types. 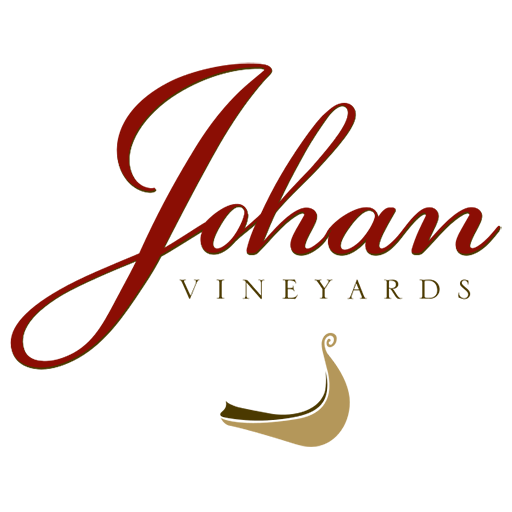 The combination of all of these factors creates a diverse system, providing us at Johan and the winery customers we work with an array of options to achieve complexity and balance in the resulting finished wines.